Besides being one of the most important holidays in the country, July 4th is the day where Light F/X Pros Shows their specialty all over Miami and even farther: Fireworks. Miami had 4th of July events all over the city, and we were part of many of them. 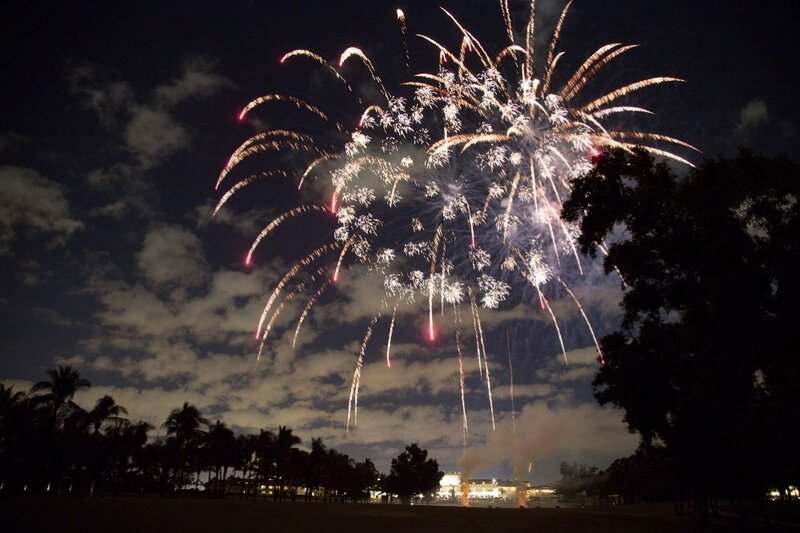 We provided Fireworks Displays for the best clients: Dwyane Wade, Miccosukee Resort & Casino, The Wharf Miami, The Moors Association, and The City of South Miami. Every single show was a huge success and the guests’ satisfaction was priceless. The Miccosukee Resort & Casino had a big event for their guests. We did the fireworks display once again this year and it was a breathtaking 15 minutes show. On the other hand, we had the City of South Miami that also had a 15 minutes show and the result for both was simple: super happy and amazed viewers. The Wharf was one of our favorites with a fireworks display on the water! the view was like no other: downtown lights with a 4th of July show on the Miami River. We covered the private events as well, as we did for the Moors and the Miami Heat player, Dyane Wade. They were very different but great in their own way. Wade’s private 4th of July Event had fireworks on the water and they were beyond fantastic. all of their guests shared the show on social media and we were very happy for every satisfied guest. Furthermore, the Moors had a 10 minutes display in the middle of the lake so every tenant could enjoy it. Overall, July 4th shows had applauses and wows during and after all the fireworks. Our mission in Light F/X Pros is to turn your vision into reality. No matter how big or small your event can be! we’ll provide the best production services out there. Lighting, sound, fireworks, special effects and more for any type of event!